The first Membership Directory, one of SABR's most basic and vital tools, was mailed in October 1971. It was a four-page mimeographed list containing 52 names. Since then, the Directory has remained the communication link that weaves the Society together. The second edition, with 105 listed members, had 20 subject categories for members' interests, and a map showing the geographical location of the membership, most of whom clustered in the eastern part of the country. Only 20 members lived west of the Mississippi River. The 1974 Membership Directory, prepared by Bob McConnell, contained the names, emphasized with a "Miss," of the Society's first two female members, Evelyn Begley and Joanne Neel appeared in the 1973 Membership Directory as a Ph.D. who listed her interests as Connie Mack and the birth of the American League. What became of Dr. Neel is unclear, but Evelyn can still be found today in a leading role of the Society's New York City Casey Stengel Chapter. The 1974 edition listed the average age of the Society member as 42. The oldest member was 86 and the youngest 17. It also listed members' occupations for the first time. The 1975 Membership Directory printed a two-page constitution of the Society and also contained a list of deceased members. The Society's constitution and bylaws have been published in each subsequent edition, but the last listing of deceased members was printed in 1988. By 1980 the Directory, edited by Bob McConnell, contained 1,200 members and had became a huge typing job. Plans for computerization fell through at the last minute. The 1981 Membership Directory, edited by Gregg Tubbs, contained a ten-year history of the Society written by John Pardon. In 1982 Tubbs printed a geographical listing of all members by ZIP code order in addition to the standard alphabetical listing. For financial reasons, no Membership Directory was published in 1985, but it returned in 1986 under the direction of Society Executive Director Lloyd Johnson. That issue, thanks to the efforts of Marge Daniels, Gary Skoog, and Gillian Tingley, was the first computerized version. It also was the first to accept advertising as a revenue generator for the Society. Ads cost $250 for a full page, $150 for a half page, $100 for 1/3 page, and $50 for a 2x2 inch box. By 1989 those prices had risen to $400 for inside cover, $300 for full page, $200 for half page, $150 for 113 page, and $25 for a business card. In 1987, editor Harold Dellinger, who was also in charge of the 1988 and 1990 editions, included a ten-page listing of Society members who had authored, edited, published, or compiled books and newsletters on baseball. He also included a list of members who were book dealers, ran fan clubs, or owned card/memorabilia business. The 1990 Membership Directory featured a Frank Phelps article titled "Baseball Research Before SABR," a must read for members interested in early baseball research. The Membership Directory became a bi-annual publication beginning with the 1991-1992 edition. Due to budgetary constraints, and because almost all members would be able to search the up-to-date membership database online themselves, the planned 2003 membership directory was shelved. 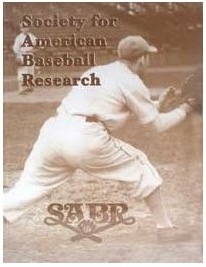 Articles and other material usually found in the front part of the book was placed on the website, and the address section of the book was accessible and searchable by SABR members only. Members who did not have Internet access could request one print copy per year, to be produced on copy paper on a laser printer.